"SpaceX propulsion just achieved first firing of the Raptor interplanetary transport engine" tweet has been illuminated. This is a tweet from September 25, 2016 by Elon Musk. 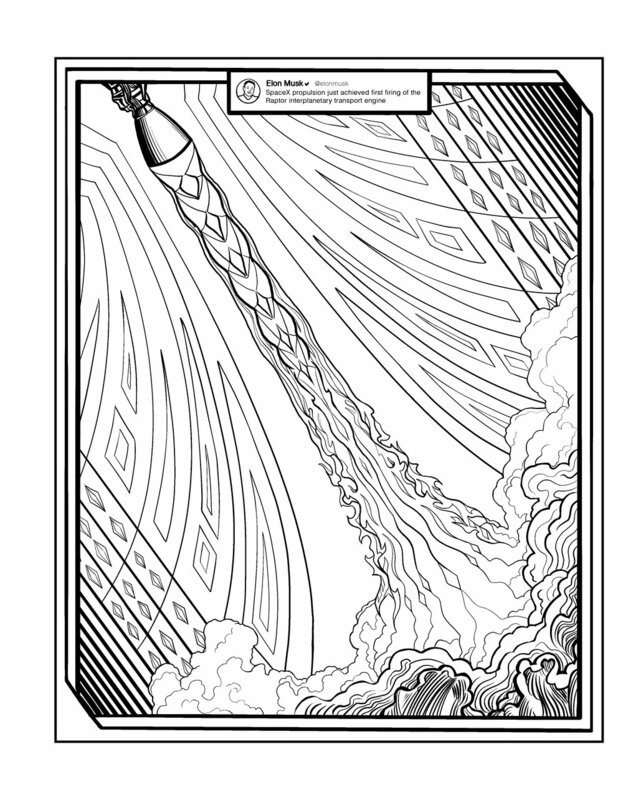 The significance of this tweet is that the Raptor engine is an engine that runs on liquid methane and liquid oxygen, an important factor in getting to Mars and returning back home, as methane can be sourced on Mars for refueling. This could very well be the engine that changes humanity forever, helping us to become a space colonizing species. The risks involved in getting to Mars and surviving long enough to explore and gather more data about our universe are high. But the risk of civilization dying off is higher if we don't get off our home world and continue to explore. Consciousness begs us of this endeavor. We have the lenses to explore further, and we must. Why else are we here? What else would we have been given the unique ability to observe and create for? To stop growing is to die. 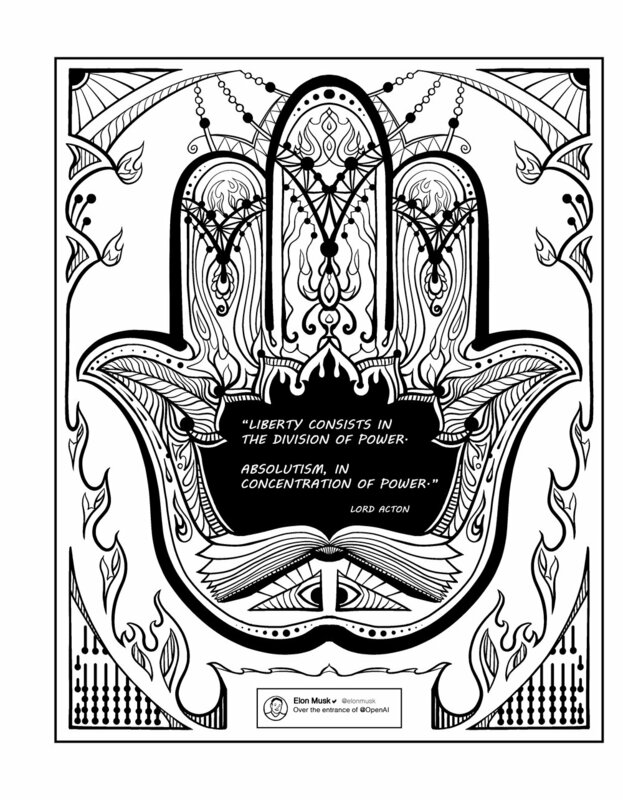 To stop learning is to wither. To stop searching is to admit the end. Earth is not the end. Earth is the beginning. 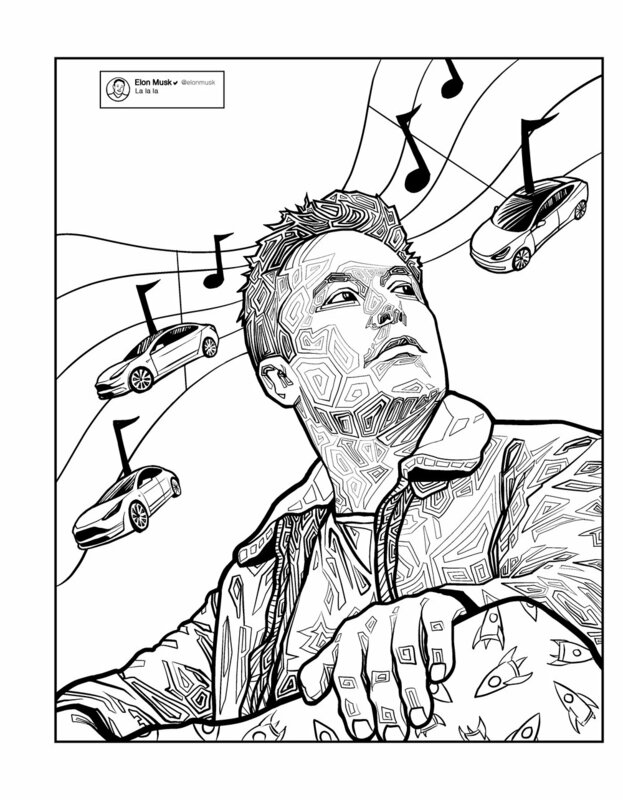 To support the creation of this coloring book, Illuminated Tweets of Elon Musk, you can find me on Patreon as ILL INK. 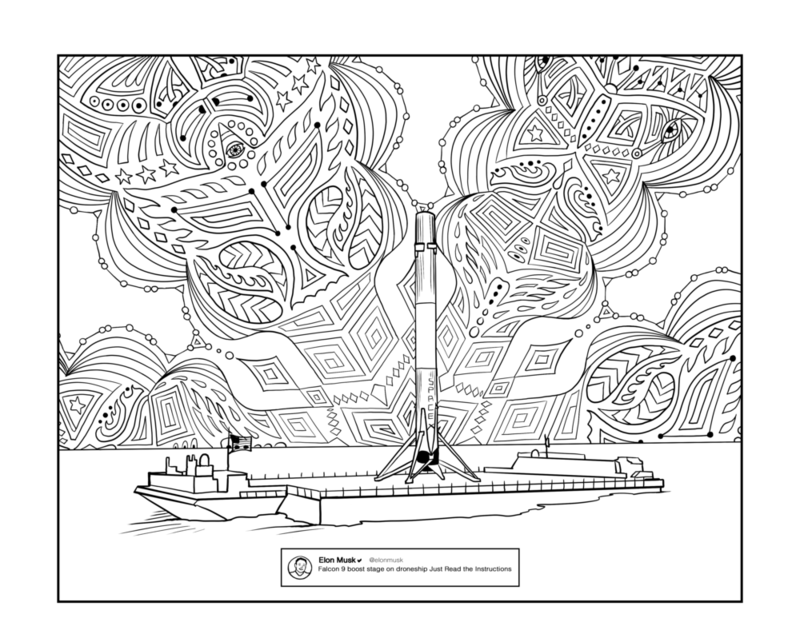 Help me inspire the world through coloring. It's fun! 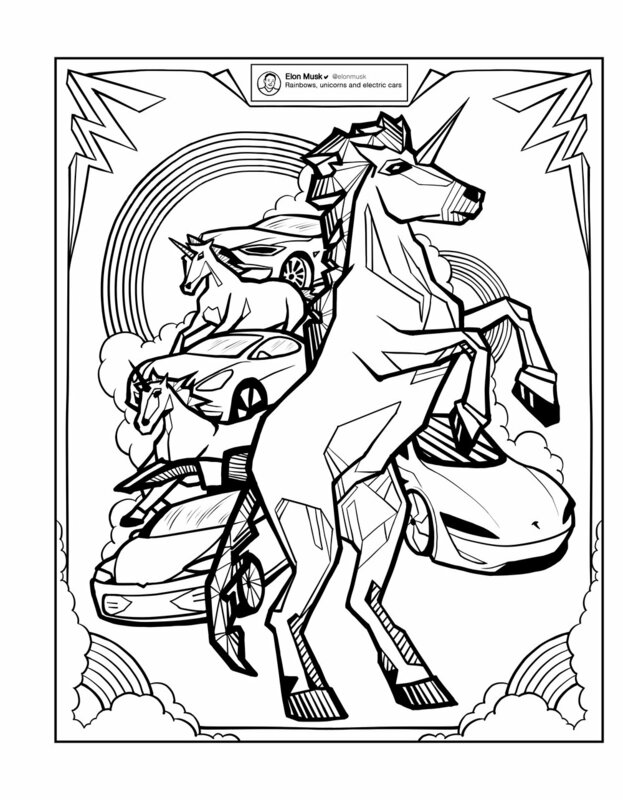 You can also get high res versions of each coloring page as I draw them, so you can color them long before the book is printed. Teachers, feel free to share unlimited copies with students for educational talking points and inspirational activities.